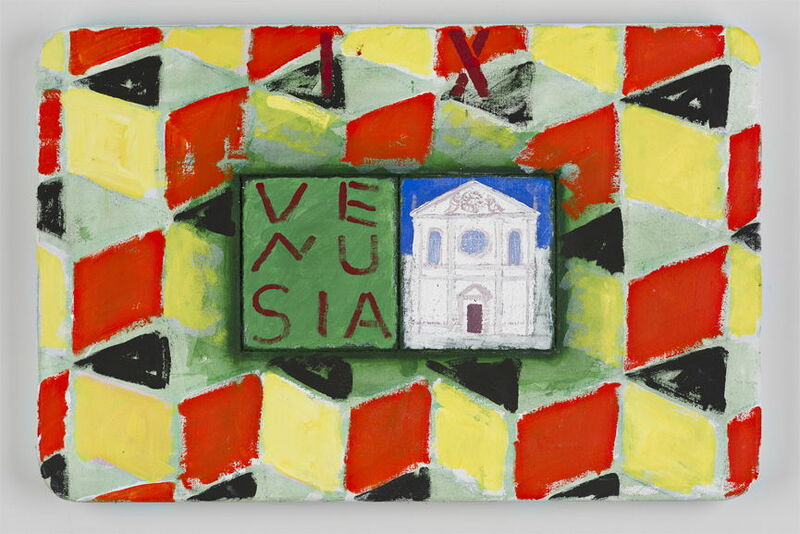 There is something truly magnificent about Joe Tilson’s artistic vision of Venice. 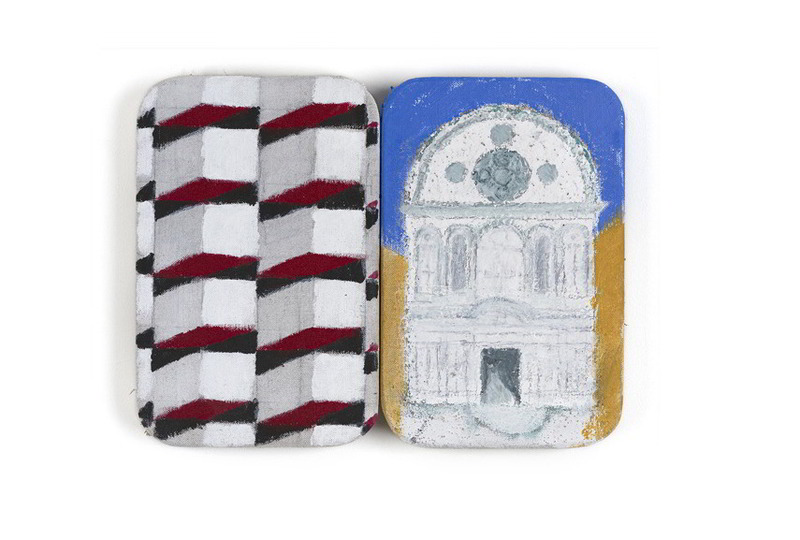 Deeply influenced by the haunting beauty of the city that was immortalized through imagination of its architects, Tilson, with his eyes wide closed, raises the new pop art universe of Venice based on the depictions of the past, geometry structures and expressive coloring. At the same time, his grandiose artwork explore the boundaries between present and the past, inviting us to revoke the moments of the pinnacle of the Venice glory. 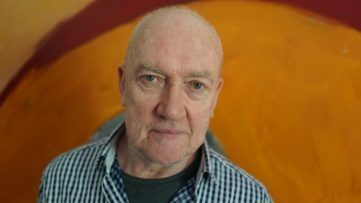 The collection of his impressive work will be introduced by Marlborough Fine Art, in what will be Tilson’s 7th solo show with the gallery. 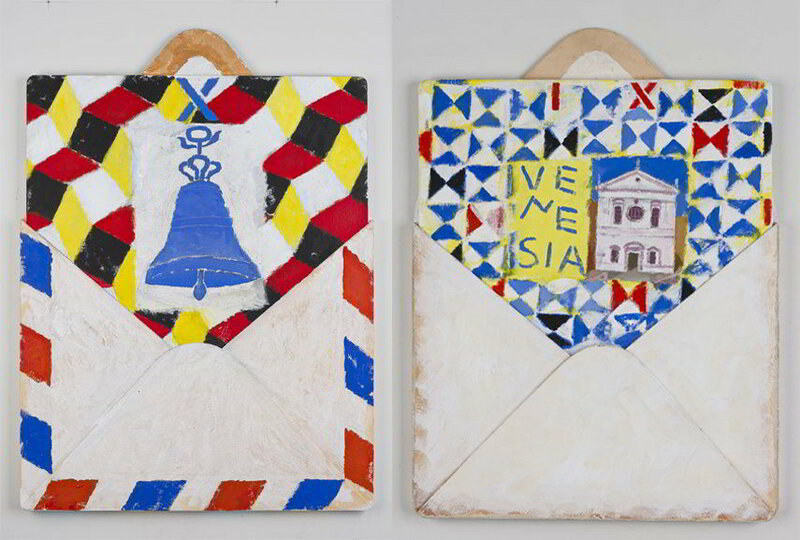 Presenting Tilson’s recent work in a form of paintings, constructions and wood relief, the exhibition will be an exceptional opportunity to experience the significant impact of Joe Tilson on the world of Pop art. Taking the title of John Ruskin’s three-volume treatise on Venetian art and architecture, Tilson metaphorically starts an illusionary journey to his earlier period. 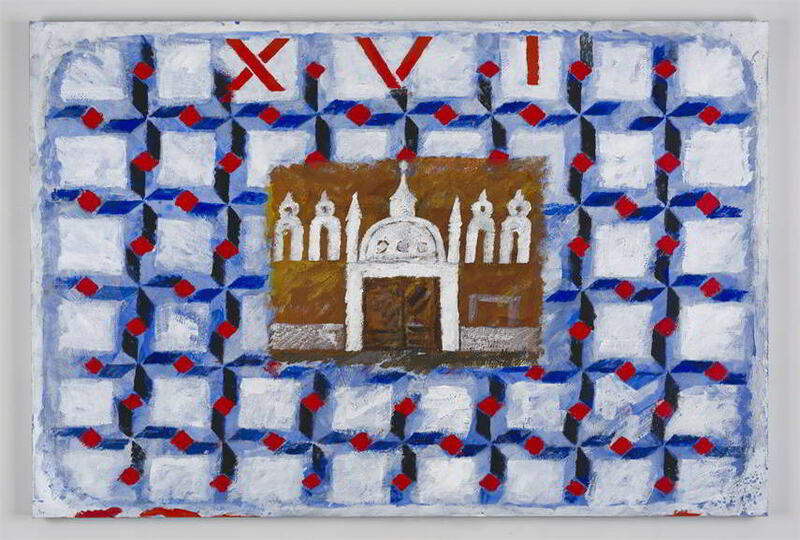 Floating through past moments in Venice, collecting the minutes of his excitement at the altar with his beloved wife, the poetry of the oldish, richly decorated facades bathed in the rays of Sun, the gentleness of the geometric patterns of the Venetian stone flooring, Tilson immortalizes the eternal celebration of the freedom of painting, design, architecture and the written word. 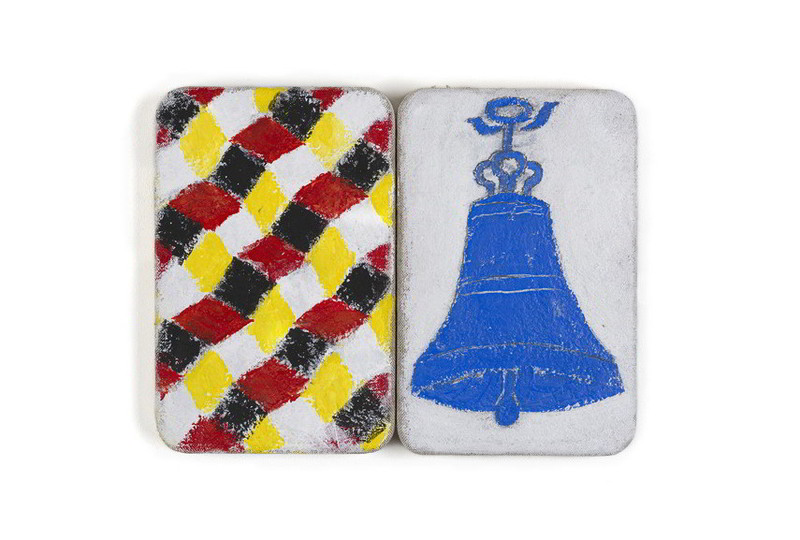 Preserving the reminiscences and emotions, sounds and tastes, Tilson transforms his canvases into the assortment of the ingenious colorful pallet, creating a marvelous collection of the art pieces. 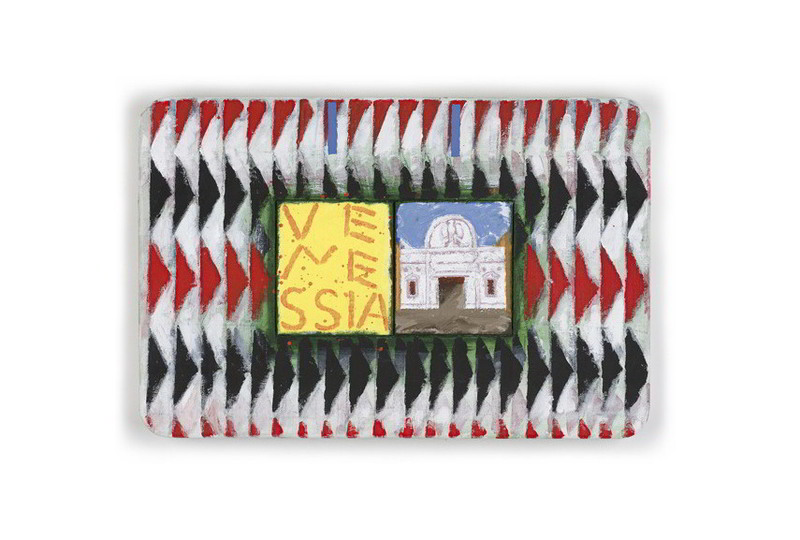 The canvases of Joe Tilson are precisely planned schemes filled with polychromatic geometric patterns taken from the flooring motifs of the magnificent Venetian Basilicas and streets. His geometric patterns are introduced by vivid, warm tones of azure and steel blue, olive green, sage and gray, umber and cinnabar, reminding us of Tilson’s background in British Pop Art in the early ’60s. The real power of Tilson’s imagination lays in his charming game with the adjusted and giant-size formats, thickness and looseness of the acrylic application and variety of materials he uses. Tilson’s art pieces are a combination of paintings, wood relief, ceramics and stone, where he plays with the texture of the base material by cutting and modeling it, applying the acrylic in many thick and loose layers, completely transcending the expected and creating visual objects. 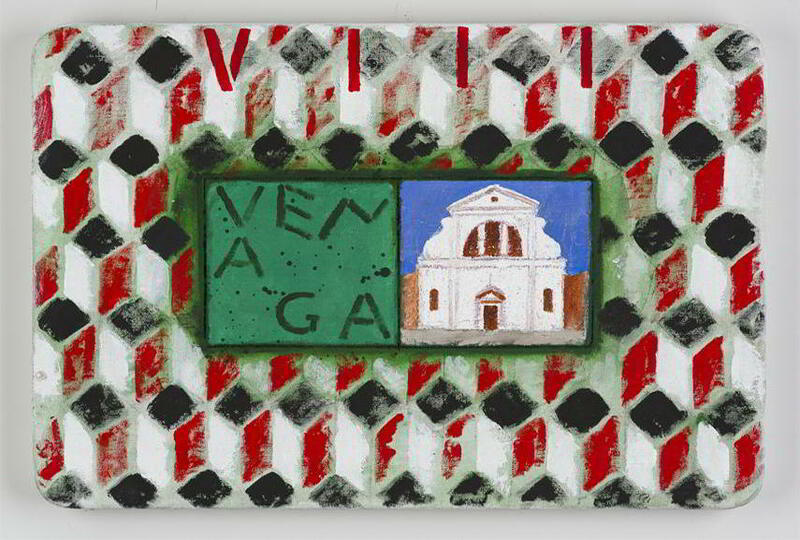 But in the further works, such as PC from Venice, Campana di Sant Marco, Calle dei Fabbri (2015) and PC from Venice San Sebastiano (2014), Tilson goes step further, presenting them in a form of postcards from Venice, set in giant envelopes that has origin in his early pop art work in ’60s. Experimenting with various substrates and materials, Tilson creates a unique collection of visually astounding paintings with different patterns and schemes. 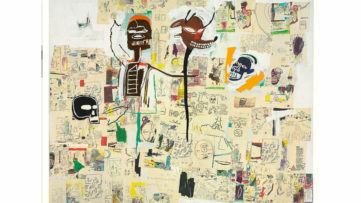 The exhibition of his new works will be on view at Marlborough Fine Art Gallery in London, UK, from March 2nd. The show will be accompanied by a completely illustrated catalog followed by the essay of art historian Marco Livingstone. The show will be on view till April 2nd, 2016. 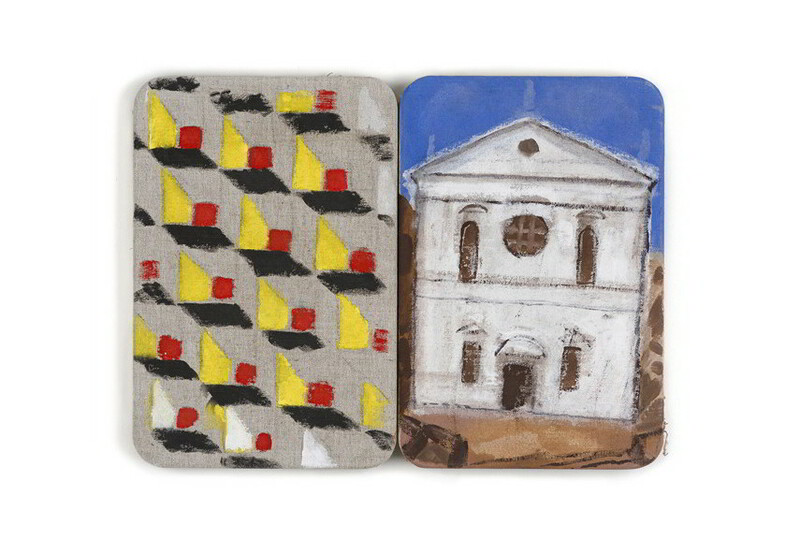 Featured images in slider: Joe Tilson – The Stones of Venice Santa Maria Della Visitazione, Venusia, 2014; Joe Tilson – The Stones of Venice Santa Maria dei Miracoli Diptych, 2015; Joe Tilson – The Stones of Venice Campana di San Marco, Calle dei Fabbri Diptych, 2015; Joe Tilson – The Stones of Venice San Sebastiano Diptych, 2015; Joe Tilson – The Stones of Venice Depositi di Pane, 2015. 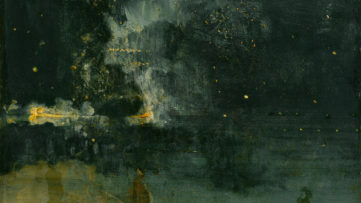 All images courtesy of Marlborough Fine Art.